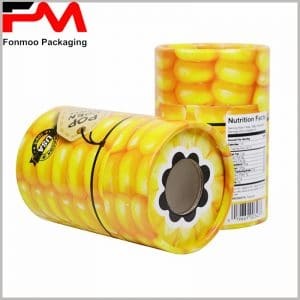 While cardboard tube has been used as a packaging material for a long time, it has been necessary to meet the new requirements, born from the advent of e-commerce. To achieve this, companies have rediscovered the advantages and benefits of corrugated board, which is slowly becoming the ideal packaging for today’s and tomorrow’s business. Traditionally used in the packaging of products of all kinds, cardboard remains today still one of the popular media to protect and ship goods, which are even more varied than before. This adaptation of the packaging board also meets the digitalization of our economies. Thus, e-commerce (re)discovers the benefits of cardboard packaging, which is therefore used to respond to uninterrupted growth of online commerce. With a turnover of 81.7 billion euros in 2017, e-commerce in Europe grew by 14%. (Source: Federation of e-commerce and distance selling (FEVAD)). This growth is reflected in strong pressure on packaging demand, and cardboard is one of the most popular solutions for both consumers and businesses. Lighter (and therefore more economical) but also more resistant, corrugated cardboard fully contributes to the control of packaging costs and the reduction of shipping and transport costs. Its attractive price and easy storage (delivered flat, in the vast majority of cases) allowing companies to adapt to fluctuations in demand, in record time. To make corrugated cardboard packaging ideal e-commerce, it remains only to make the natural choice of consumers, and to achieve this, this material is no shortage of arguments. Increasingly aware of environmental issues but also of sustainable development issues, consumers expect recycled and recyclable packaging solutions, which is, by nature, one of the advantages of this corrugated board. Innovations have made it possible not only to make this material lighter but to be able to adapt it in real time to the dimensions of the products to be packaged. (This vacuum hunt has been reinforced for many years by significant efforts to reduce the weight of the various calibration solutions available on the market). Easier to open, today’s boxes are now designed for easy re-use. More than an additional environmental benefit, this reuse meets consumers’ expectations for goods returns, a far from marginal phenomenon in e-commerce. It is therefore an ideal packaging for the consumer, which should also be transformed into a true communication medium. Because in e-commerce, packaging remains the first physical contact between the brand and its customers, and the possibilities in terms of customization of cardboard packaging are as diverse as many. Real support for the development of e-commerce, cardboard tube packaging meets the new requirements, and this success should be confirmed in the years to come, even if it will then meet new expectations, which will soon emerge.